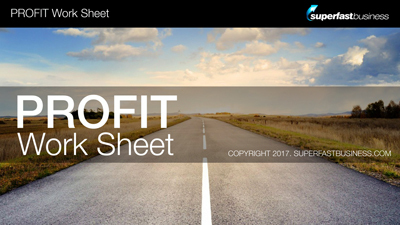 The path to more profit can be fast and simple. 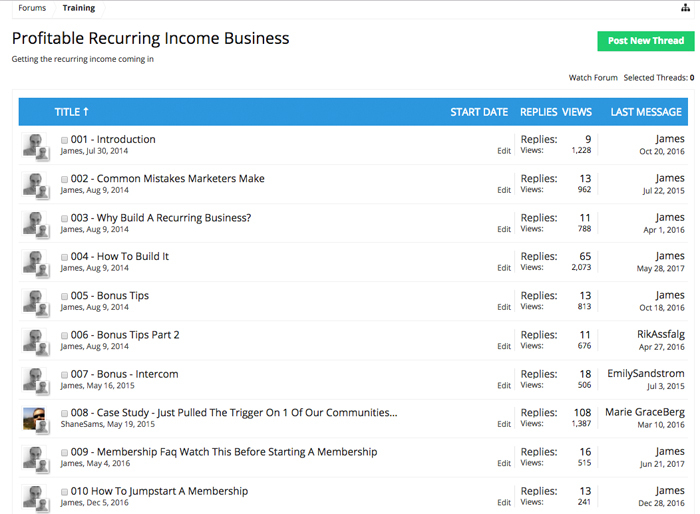 In this video episode, James Schramko delivers three things you can implement now to make more money. You don’t need to build your business on your own. Join the SuperFastBusiness membership to receive personal coaching for your business. Every post gets answered. 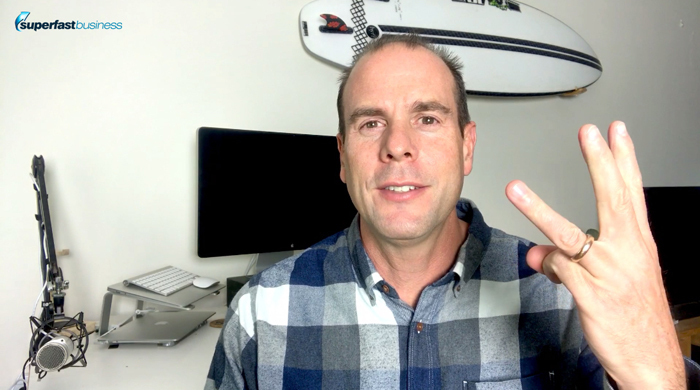 James: James Schramko here with a short video, and I want to share three things today that are the fastest path to adding some more money to your business. So let’s go. The first thing you can do is to have a look at this 10 percent 10 X phenomenon. And that is that 10 percent of your audience would happily pay 10 times more for your product or service. So the simple outcome here is add a product or service on top of the highest product or service that you have. How does this look in real life? Well, I have a product called SuperFastBusiness membership, and it’s around about a thousand dollars per year right now. There’s around 500 or so members in that program. Now if I take 10 percent of that and add a 10 times more offer, we end up with something similar to SilverCircle. Well the reality is, it’s 18 times more expensive, and I have six percent of the same number in there, near about 30 people. So it really does work out. So the question for you is what could you add on top of your highest level product or service and then offer to 10 percent of your market? So you could go out to your market and you would expect around 10 percent of your audience would be interested in that. I’d love to know how you go with that. OK. Tip number two. The second thing you can do is to be more relevant to your audience. And the simplest way to do that is to figure out the top three to five types of customers you have coming to your website. And I would start with your home page and see if you can come up with a simple segmentation. So we want to segment our audience. We’ve been doing this forever in the offline world, and it’s time for us to do this online. If you go to the homepage of SuperFastBusiness.com, you’ll see I have a simple segmentation. There’s a two-step segmentation. Step one is by type of challenge. And step two is by profit level of my audience. Why would I do that? Well I need to segment out people who are not a perfect fit for my program. And if they are a perfect fit, I want to have the exact right words and language for them. So when the perfect fit customer comes through that segmentation, the words start to change and transform to be very relevant. So the main things you want to segment will be your homepage, your sales page, and your onboarding. Whenever you bring people into your product or service, make it relevant for them and ignore the other things because they’re not interested in that. The third tip is to focus on recurring business and therefore, have more of your focus on retention than customer acquisition. We’re always hearing people talk about traffic, traffic, traffic, and that’s great. And conversions are good to focus on. But why not keep some of the customers you have? So the big question here is, how can you continue to deliver value to your existing audience? What other needs do they have? How can you continue to serve them in the future? Now if you’re looking to do something like a membership the same way that I have, there are three vital components to that. One is the content to bring people in because they’re interested in content, which of course is now relevant. The second thing is some kind of community. Now I do that away from Facebook. A lot of people do that on Facebook and because of reasons that I talk about in OwnTheRacecourse, I think it’s a good idea to keep control of that if you can, and I do that using an app. If you want an app like mine, check out theappmatch.com. In any case, the third component is coaching. I help people get a result. So I actually offer personal coaching inside SuperFastBusiness and SilverCircle. So there you go. There’s my three tips that will help you bring in far more money to your business right now. You can easily implement these. If you need some help with it, I’d be happy to help you. I can personally coach you inside SuperFastBusiness. You can watch the training that I’ve done. Go and have a look at the segmentation at SuperFastBusiness.com. Inside the membership, I have training on memberships. I’ve got a whole course on that, and I also have specific training on retention. Got a nice, long program that goes through exactly how I retain members. And by the way, I also have training on how to automatically sell people into a course or a membership. It’s all inside there. I look forward to helping you. If you’ve got comments or questions, please ask them below. Be sure to download the checklist. Fill it out. Make some profit. I’m James Schramko. Look forward to seeing you inside SuperFastBusiness membership.